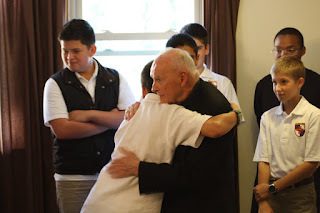 UPDATE 9/3/18: While the IVE try to distance themselves from McCarrick let us remind you how close they really were. The IVE Superior General Carlos Walker followed McCarrick around Rome during his visits. 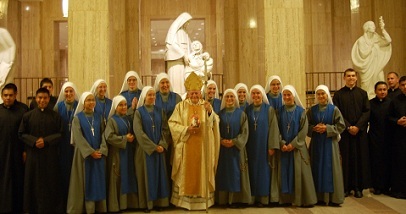 Does this look like a group that reluctantly accepted the patronage of a (homosexual predator) Cardinal? 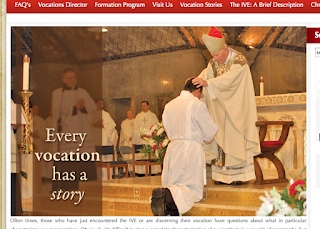 UPDATE: McCarrick moved from the Neocat seminary to the IVE Seminary in 2011. It may have coincided with Pope Benedict's sanctions on McCarrick for homosexual predation. The sanctions would have made living at an actual seminary impossible, but living at a suburban "house" would be ok. Nobody needed to let the Pope know the house was next to a seminary and full of seminarians. It's been reported elsewhere that McCarrick lived with the IVE, but those news articles were a little light on details for our taste. We’ll try to fill in some of the backstory below. If you have more info email us and we’ll add it. 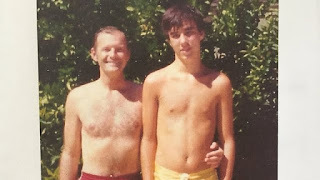 Cardinal McCarrick was a homosexual predator that abused young catholic boys and seminarians. 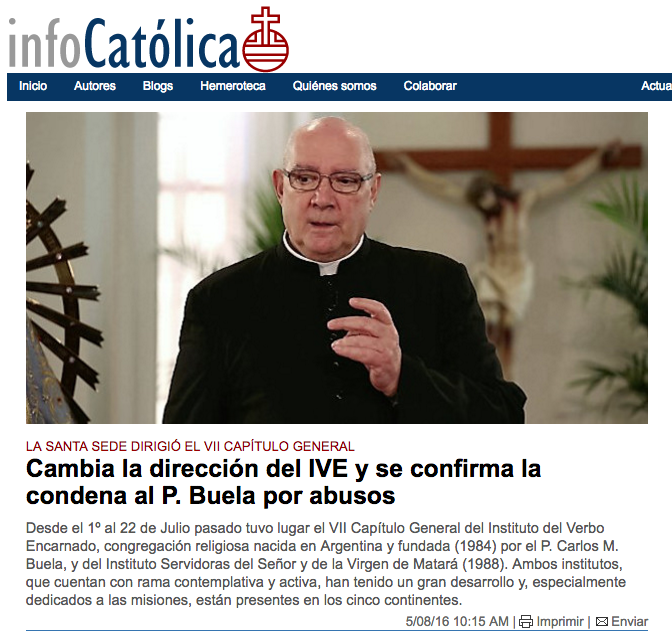 Carlos Buela - founder of the Institute of the Incarnate Word - was a homosexual predator that abused his own seminarians. 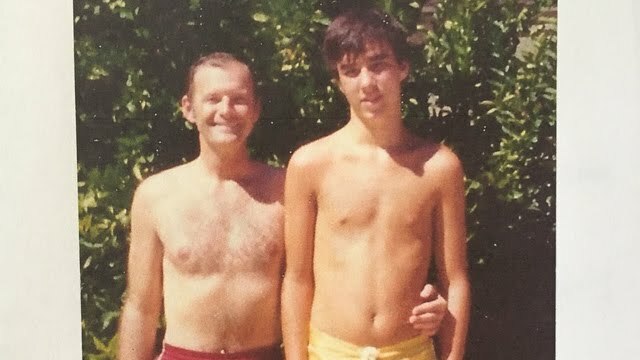 It’s no surprise the two were friends. We’re told McCarrick developed his taste in Latin men while president of the Catholic university of Puerto Rico. 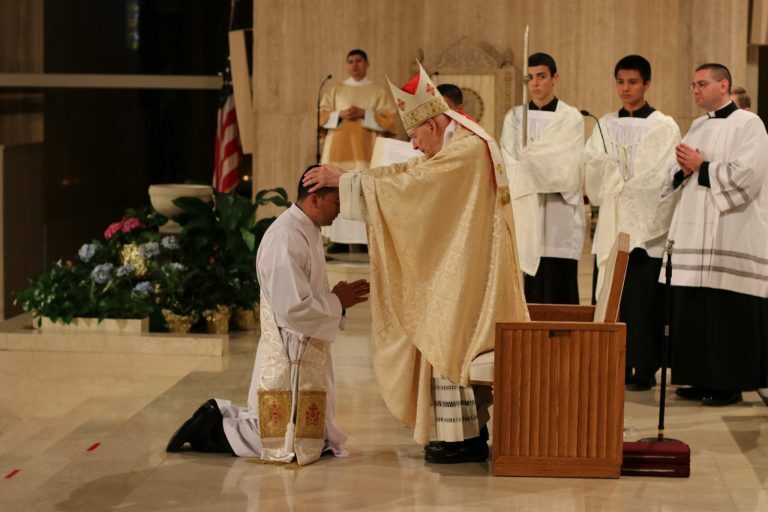 As Archbishop of DC he often visited the Argentine-founded and heavily hispanic IVE seminary, joining them for dinner, parties, and events. 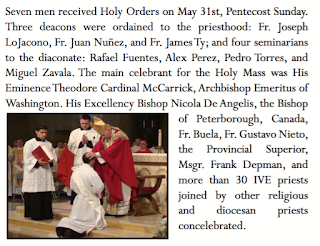 When he retired he initially lived with the Spanish group the Neocatechumenical Way. After a couple of years the Neocats asked him to leave (gee, I wonder why) and he moved in with the IVE. The IVE American major seminary is in Chillum Maryland, a suburb of DC and right down the road from the Neocat seminary. The seminary is really just a parish with some extra buildings on the property. 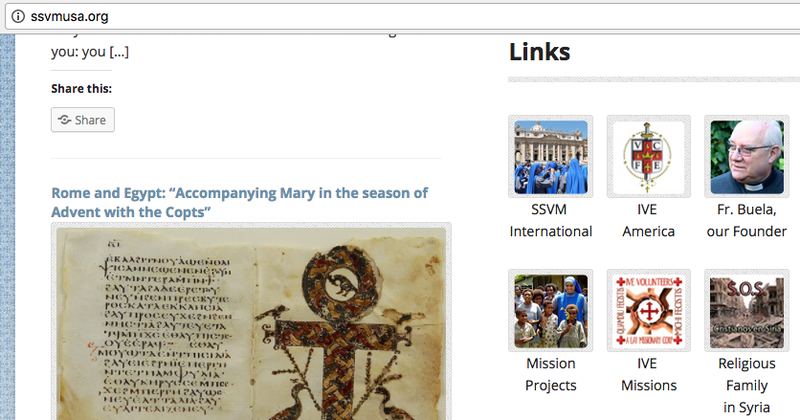 Somehow (probably with McCarrick’s help) the IVE were put in charge of it. While large, not all the IVE seminarians fit on that property so the IVE (or perhaps McCarrick) bought houses adjacent to the parish. 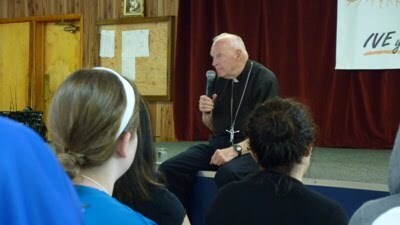 McCarrick lived in one of these houses - usually with two IVE seminarians as roommates. One of the seminarians was always an American “company man” quite loyal to the IVE. The other was hispanic, usually an illegal alien. Nothing strange about that arrangement, is there? 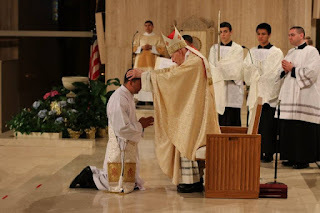 Oh, did we mention that at least half of the IVE seminarians were illegal aliens who never underwent background checks yet were allowed on parish property and around children - against the diocesan child protection policy - even after Wuerl was notified? 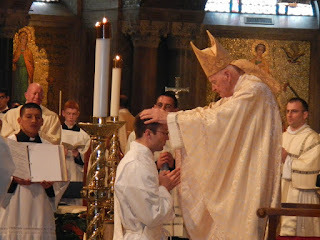 McCarrick did 99% of the IVE ordinations in both the USA. He also did most of the ordinations in Argentina because none of the Argentine bishops would ordain IVE seminarians That’s right. 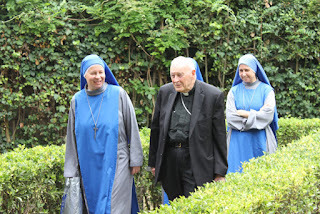 McCarrick regularly flew down to Argentina to visit the seminary there. We bet he made those trips out of the goodness of his heart. Why else would a homosexual predator make trips to far-away seminaries in South America that depended entirely on him for ordinations? From the IVE website. What's the story here? Everyone at the IVE looked up to McCarrick. 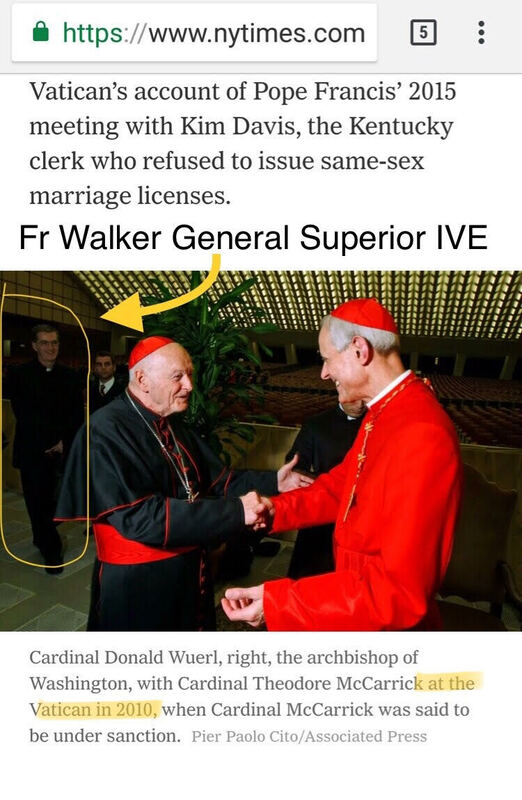 Yes, we found it strange that such a liberal “cleric” dogged by rumors of homosexual predation would find himself at such an ostensibly conservative order - yet nobody else at the order found it strange - which made the situation... stranger? 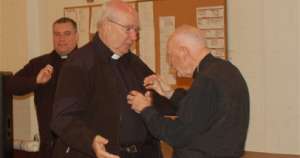 They all thought McCarrick was great - an almost mythic figure. They especially loved it when he took them out to baseball games and Atlantic City casinos. 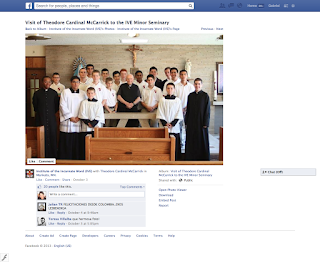 Yes, McCarrick took the seminarians (usually the handsomer ones) to casinos in Atlantic City and many were happy to tell you about it. 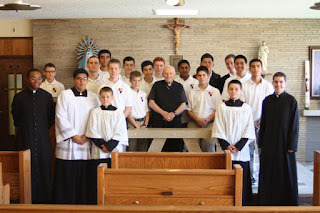 Most appreciated was McCarrick’s visit to the IVE minor seminary in Mankato MN where boys as young as 13 are begin their training to join the IVE. This was a man with a real dedication to youth. Uncle Teddy visiting the IVE Minor Seminary in Minnesota - how old are those kids? What affection he showed for those young, young men at the IVE. They were quite proud that their benefactor paid them a visit. And let’s give credit where it’s due: he also had a large role with the female branch of the IVE, the SSVM, also known as the Servidoras. They always enjoyed his visits. It's like he was just one of the girls! If you were at the IVE when McCarrick was there and want to share your story, please email us! All emails are confidential. We’ve been around for 6 years and haven’t disclosed an anonymous source yet.